Mycorrhizae are symbiotic associations that form between the roots of most plant species and fungi. The term Mycorrhiza literally means “fungus root” and was first described by a German forest pathologist in 1885. It was estimated that 95% of all plant species belong to the genera that form Mycorrhizae. Little things run the world and this is especially true when it comes to getting plants established. Under natural conditions, plants live in close association with Mycorrhizae. Estimates of mycorrhizal filaments present in healthy soil are astonishing. Several kilometres of filaments can be present in less than a thimbleful of soil associated with growing plants. The hyphae act as a link between the roots and the soil to increase nutrient uptake. 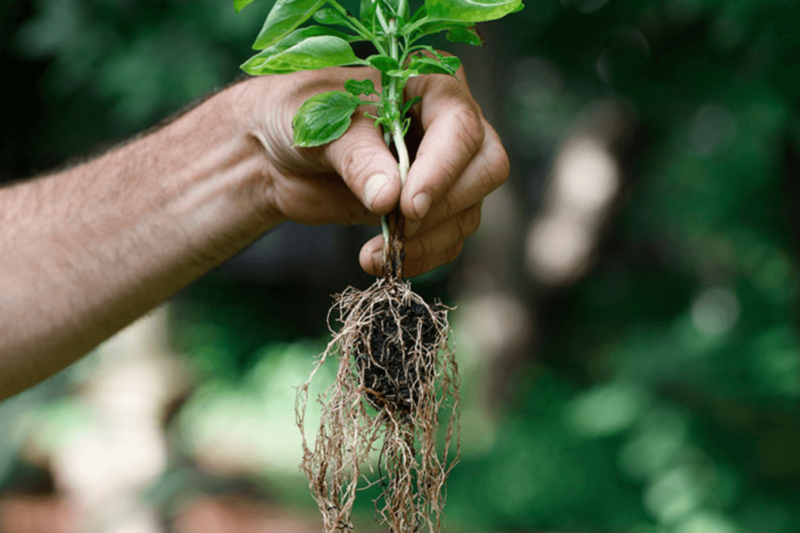 Mycorrhizal root systems increase the absorbing area of roots 10 to 1000 times thereby greatly improving the ability of the plants to utilise the soil resources. Mycorrhizal fungi are able to absorb and transfer all of the 15 major macro and micro nutrients required for plant growth. Mycorrhizal fungi release powerful chemicals into the soil that dissolve hard to capture nutrients such as Phosphorous. This extraction process is particularly important in plant nutrition and explains why non mycorrhizal plants require higher levels of fertility to maintain their health. Mycorrhizal fungi form an intricate web that captures and assimilates nutrients from the soil to the root. They are also involved in a wide variety of other activities that benefit plant establishment and growth. The same web of fungi is very important for water uptake and storage. In non-irrigated conditions, plants inoculated with mycorrhizae are under far less drought stress compared to untreated plants. Mycorrhizal fungi also improve soil structure. The intricate web of hyphae produced by these organisms also produces humic compounds and “glomalin” which is a soil glue. This glue binds soils into aggregates and improves soil porosity. Figure 2 shows a soil aggregate covered in glomalin/ (stained green) and this shows just how critical mycorrhizae are in all soil types. In sandy or compacted soils, the ability of mycorrhizal fungi to promote soil structure is of great importance. The benefits afforded plants from mycorrhizal symbiosis can be characterized either agronomically by increased growth and yield or ecologically by improved plant fitness (i.e., reproductive ability). In either case, the benefit accrues primarily because mycorrhizal fungi form a critical linkage between plant roots and the soil. Mycorrhizal fungi usually proliferate both in the roots and the soil. The soil borne hyphae take up nutrients from the soil solution and transport them to the root. By this mechanism, Mycorrhizae increase the effective absorptive surface area of the plant. 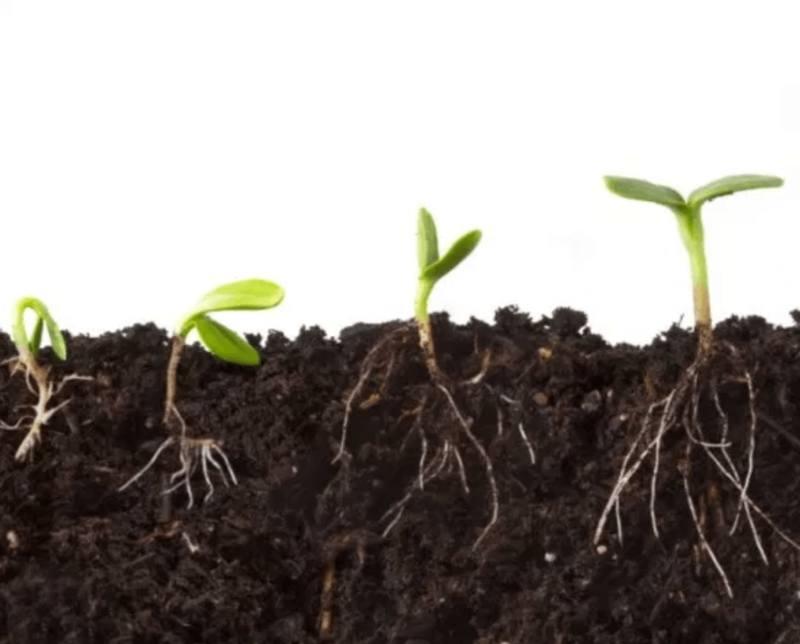 In nutrient poor or moisture deficient soils, nutrients taken up by the Mycorrhizae can lead to improved plant growth and reproduction. 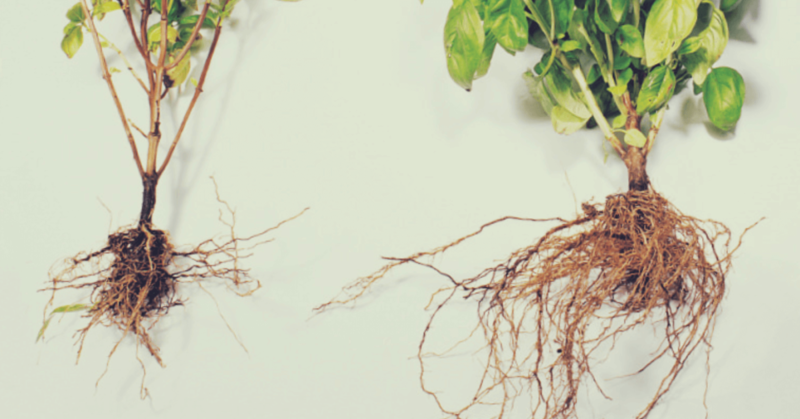 As a results, mycorrhizal plants are often more competitive and better able to tolerate environmental stresses than are non-mycorrhizal plants. There have been strong associations found between mycorrhizae and many fruit and vegetable crops. The mycorrhizae colonise the root structures and produce hyphae into the soil which in turn improve the availability of elements such as Phosphorous, Zinc, and even regulated nitrogen nutrition. Kendra Baumgartner from USDA California found that over ninety-five (95%) percent of crops not only respond positively to colonization by mycorrhizal fungi, but they may suffer in the absence of mycorrhizae. The commercial applications of such fungi have been made available in Australia through the use of easy to apply “bio-degradable tea bags” which contain these beneficial organisms. Technology from California has enabled the introduction of these beneficial organisms into the soil at planting an extremely easy task. Growers are placing the sachets into the hole prior to planting and the addition of water activates these fungi to germinate and proliferate, forming a symbiotic relationship between the roots and the soil. Plants and trees establish in the field much faster as well as become less likely to suffer from water stress. Further to this, the mycorrhizae acts as a physical barrier for detrimental soil organisms, therefore strike rates in the field are increased as losses are reduced. The sachets have offered growers an affordable method of introducing these critical organisms into the soil to improve crop establishment and management. The dependency of most plants to these beneficial organisms makes them an important factor when establishing new crops or reworking existing soils with an extensive history of cropping.